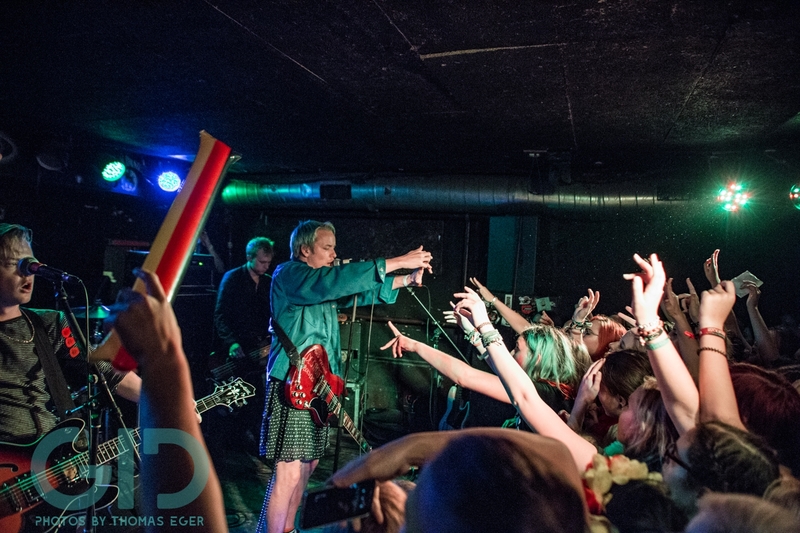 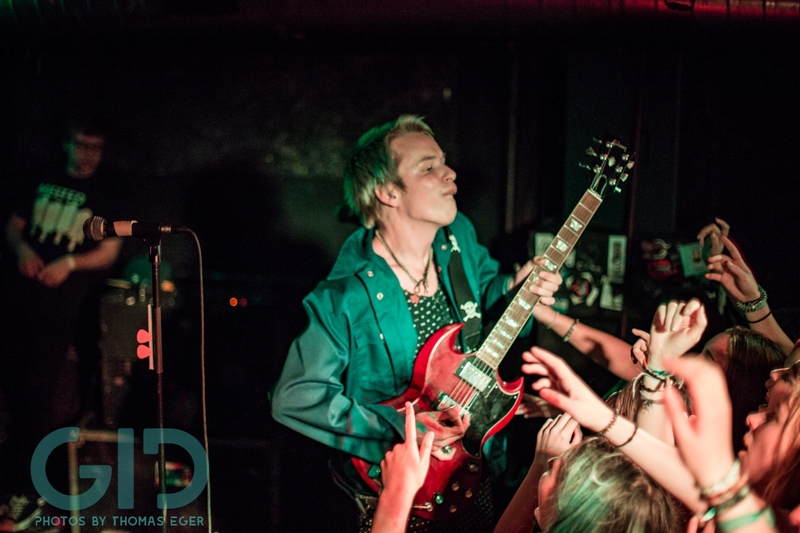 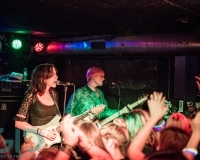 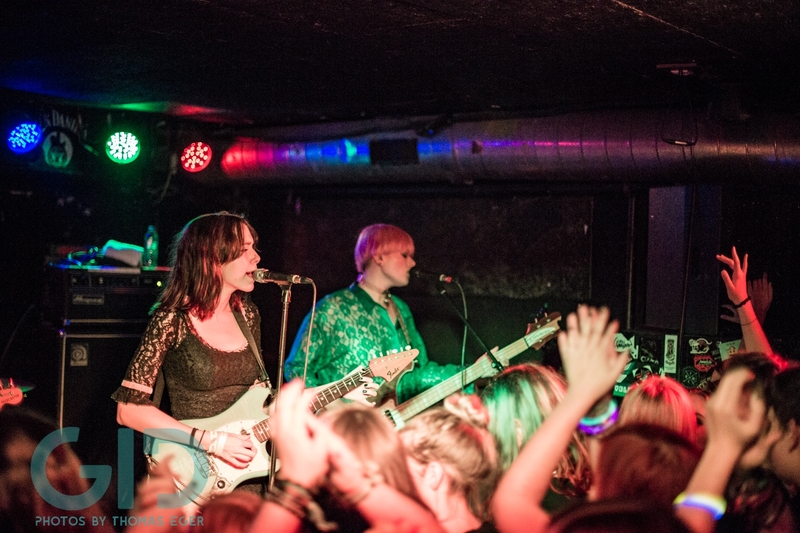 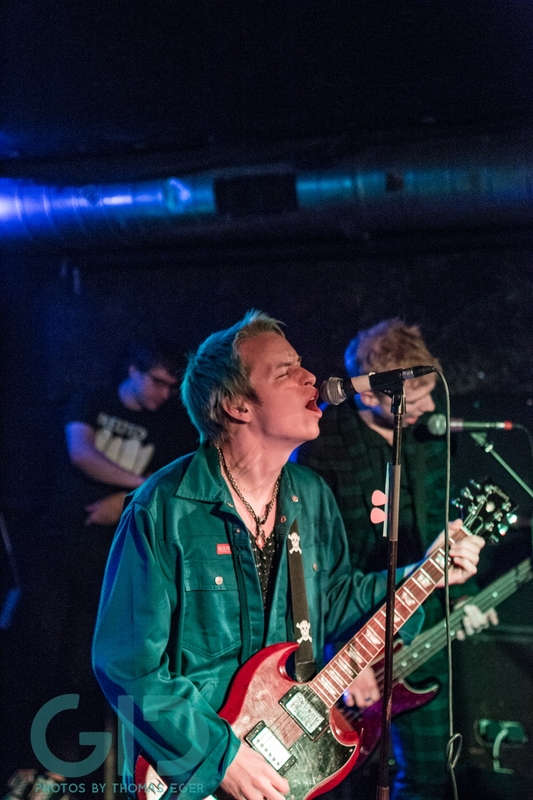 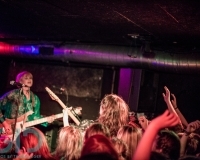 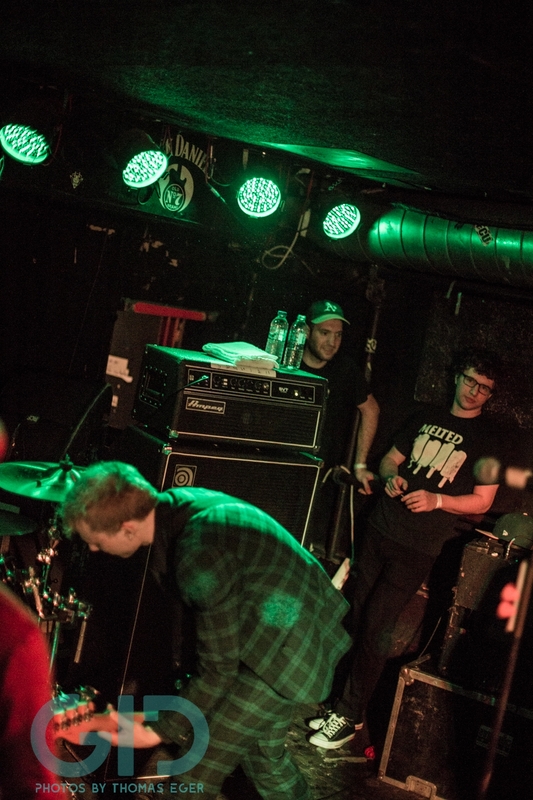 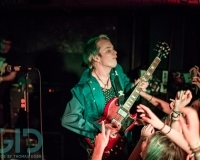 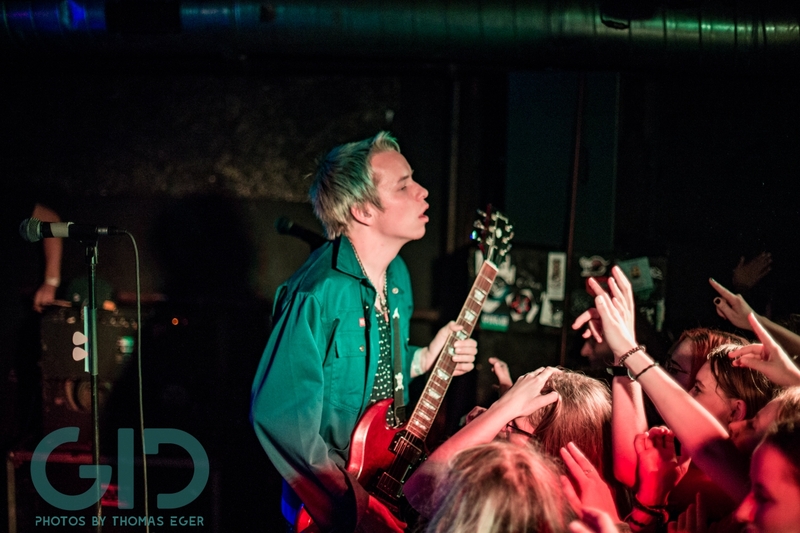 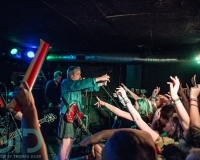 Concert Review: SWMRS and The Regrettes Destroy Cologne - GENRE IS DEAD! 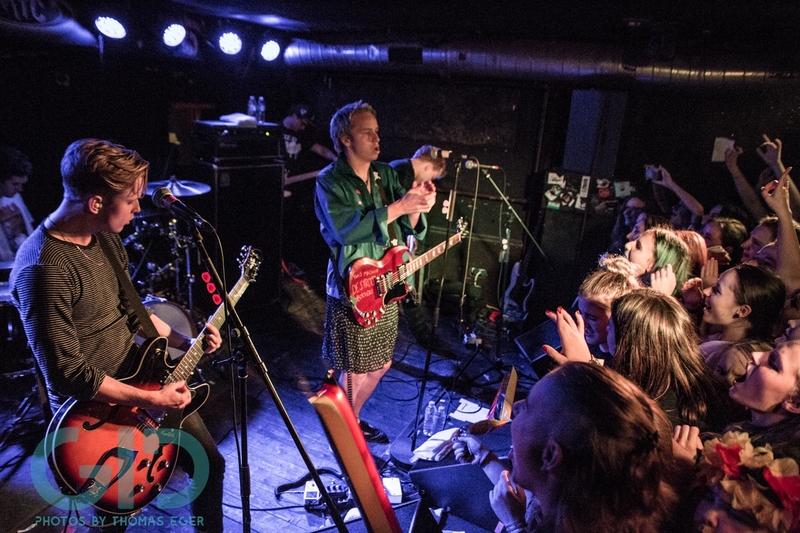 When SWMRS opened for All Time Low during their European Tour earlier this year, we could get a first glimpse of the band’s energy on stage. 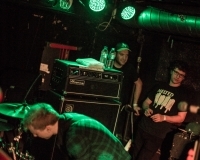 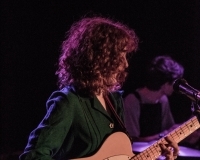 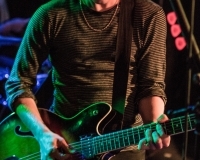 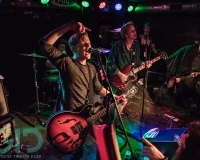 But a support slot is never the perfect set-up for a live show: most of the fans are impatiently waiting for the main act, playing with their phones, getting drinks or having a quick smoke outside. 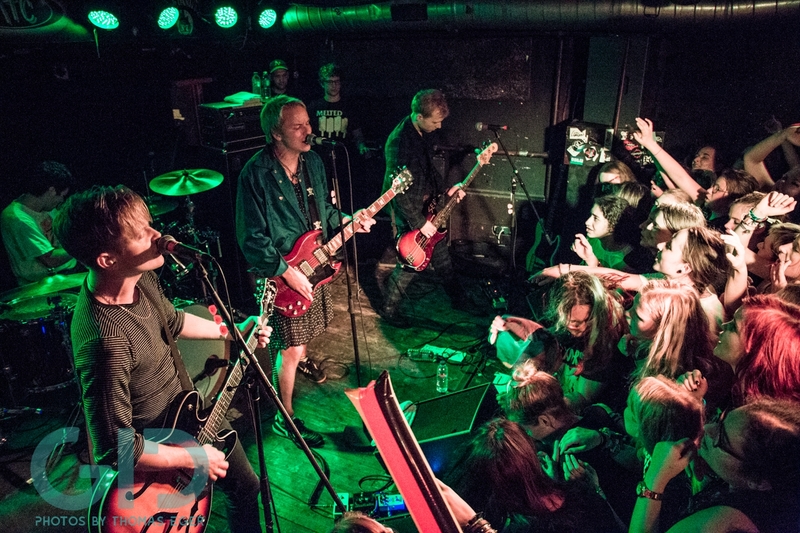 Gladly, the guys quickly announced their very first European headline tour which started in Amsterdam on September 14th. 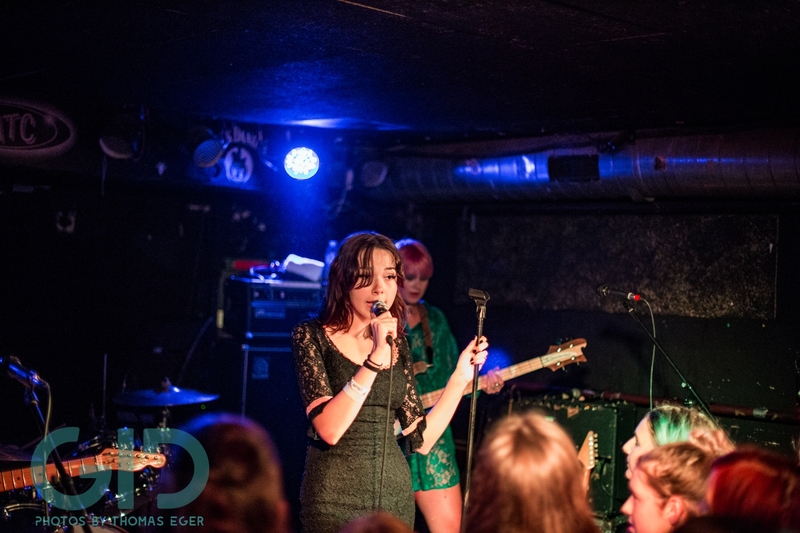 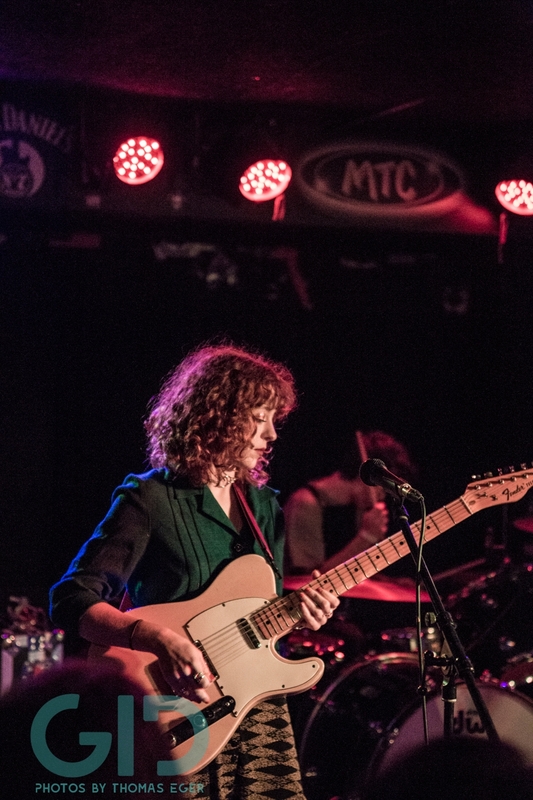 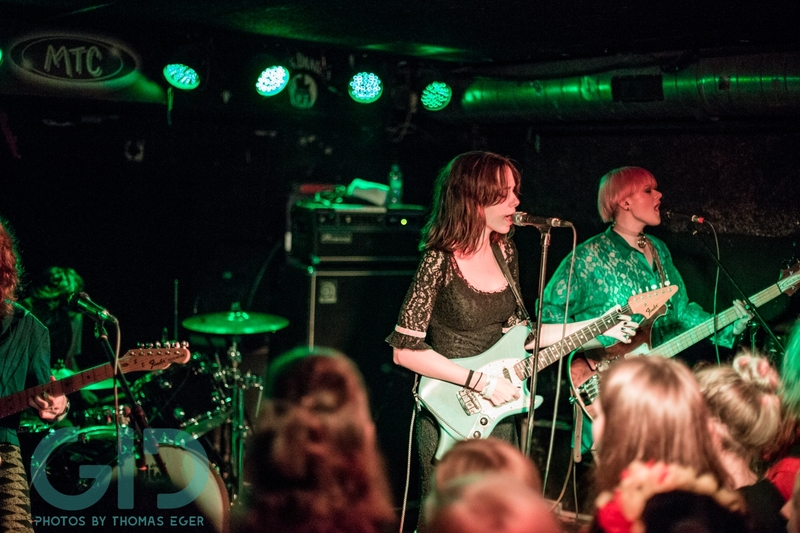 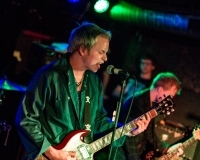 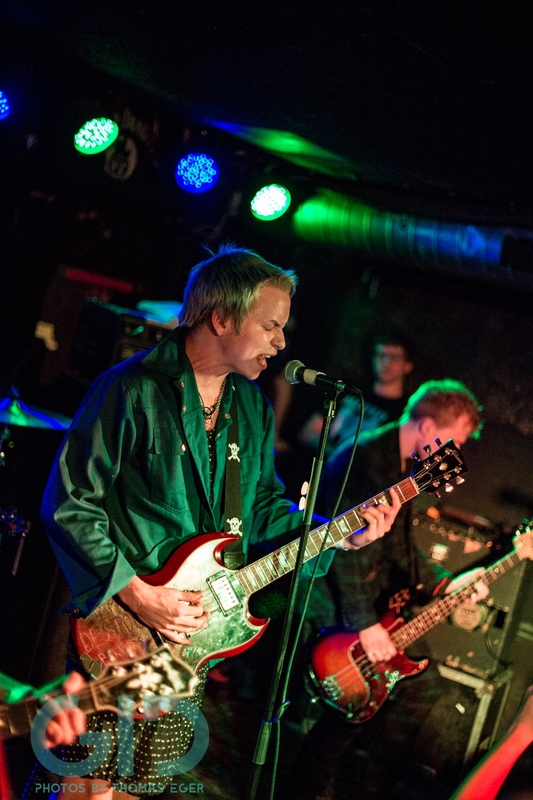 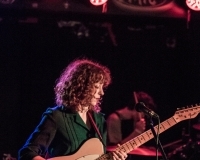 We were lucky to catch their show at the small club MTC in Cologne on September 22nd. 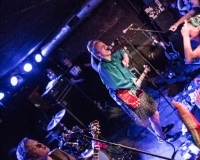 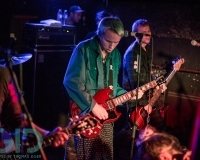 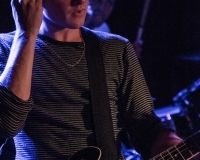 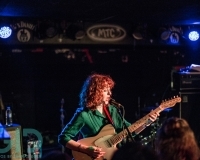 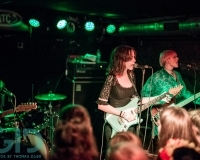 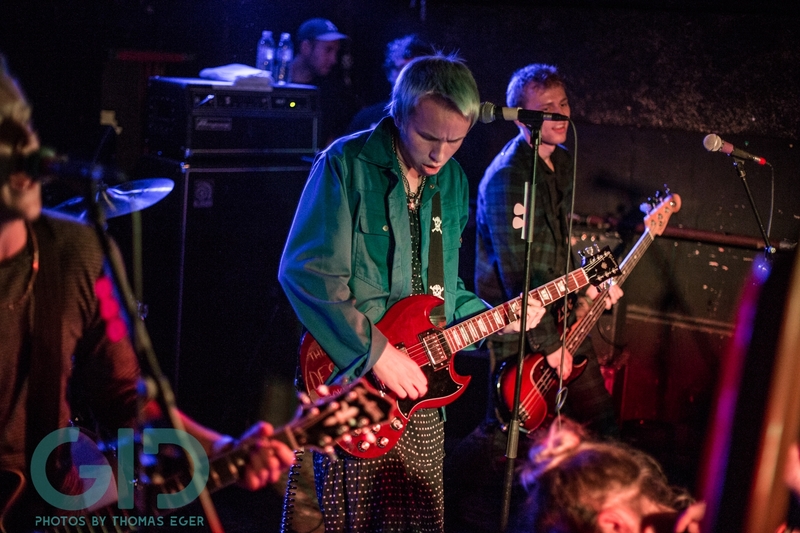 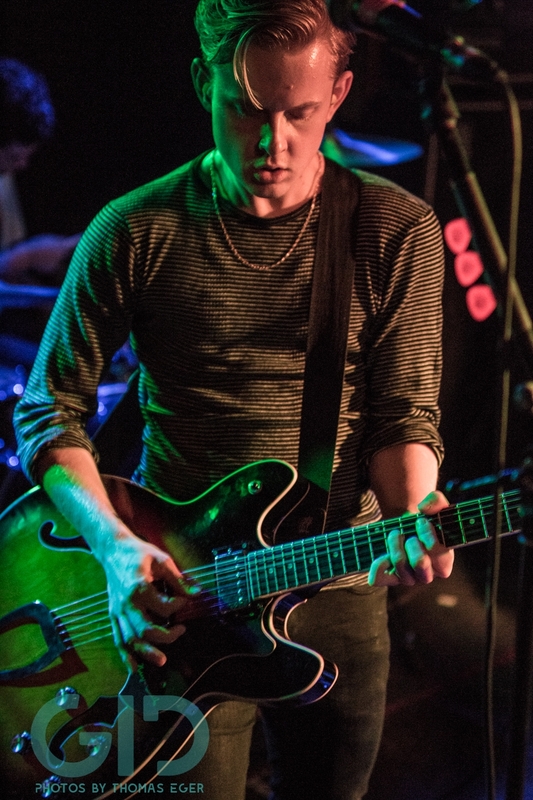 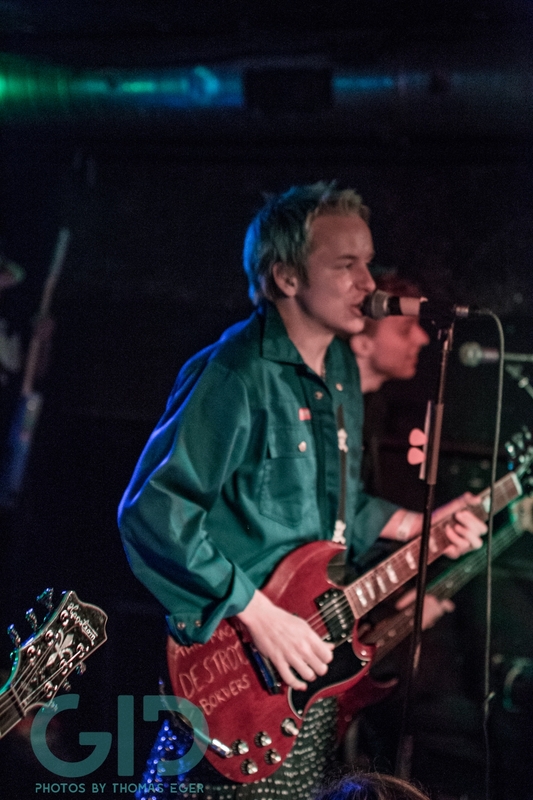 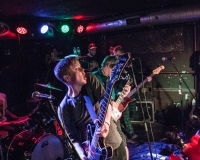 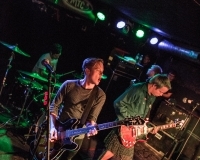 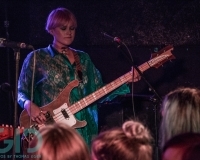 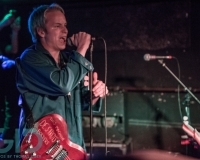 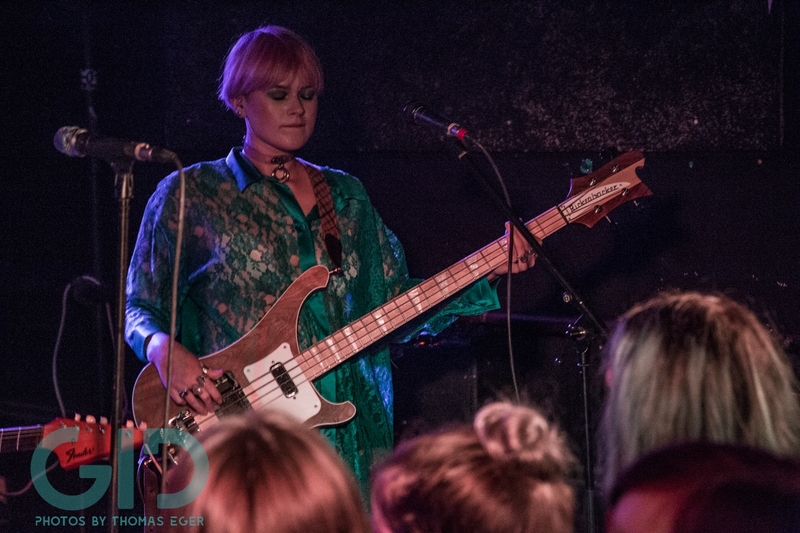 SWMRS were accompanied by the fellow Californian punk rock group The Regrettes consisting of Lydia Night (vocals, guitar), Sage Chavis (bass), Genessa Gariano (guitar) and Maxx Morando (drums). 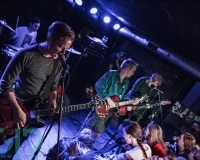 The super young band played several songs of their debut record “Feel Your Feelings Fool!” including the singles “Seashore”, “Hey Now”, “A Living Human Girl” and my own personal favorites “Hot” and “Picture Perfect”. 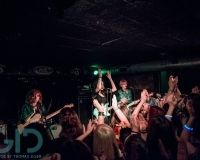 They managed to get the crowd moving from the first note on. 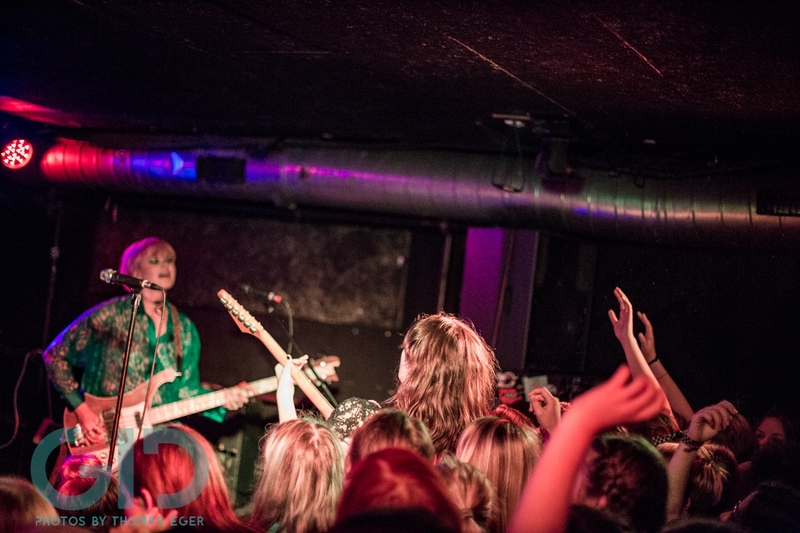 They were really the perfect choice for the tour! 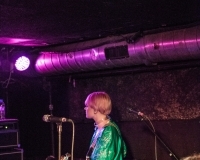 Night’s vocals are impressive for her young age and she performed the songs with a “tongue-in-cheek”-type of humorous ease that was super fun to watch. 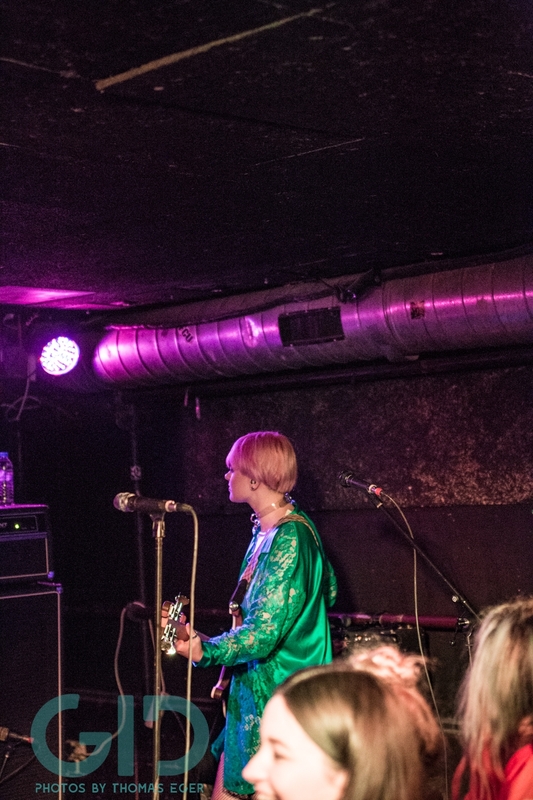 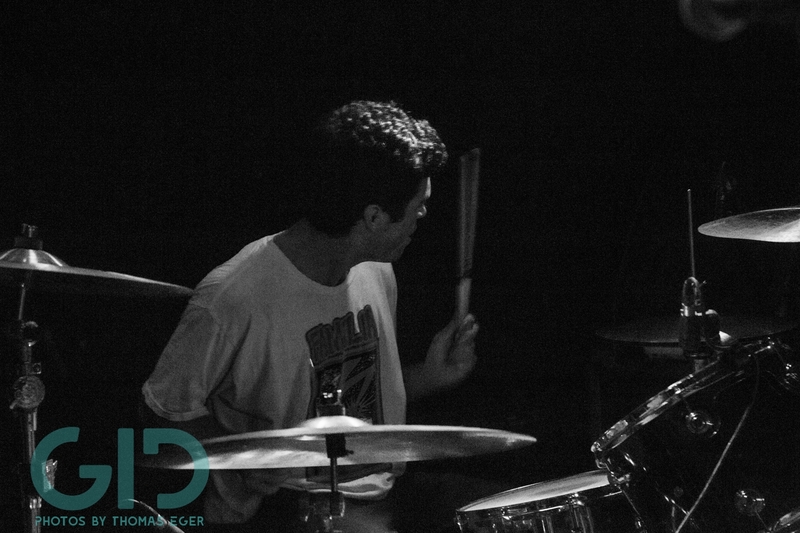 Her interactions with Chavis and Gariano showed that they had as much fun on stage as the crowd off stage. 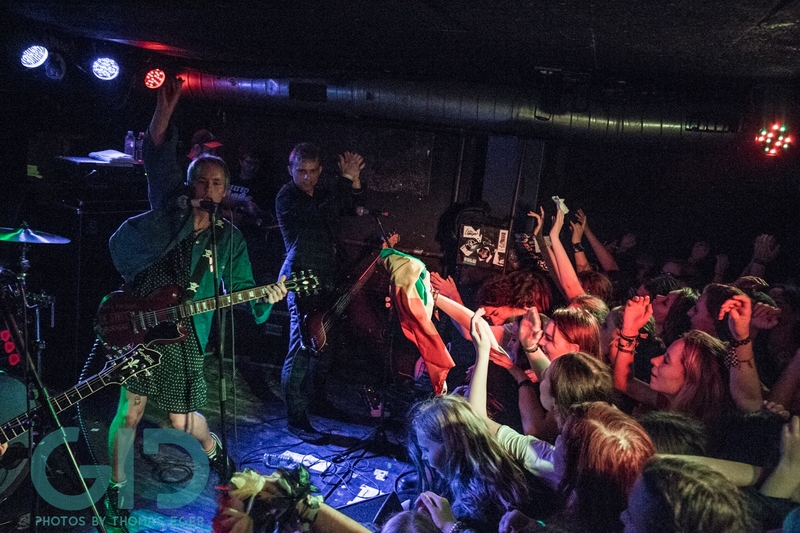 The mostly female SWMRS fans completely freaked out during the support act’s set, especially when Night took a dive in the crowd. 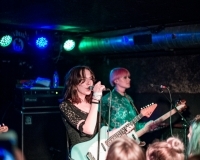 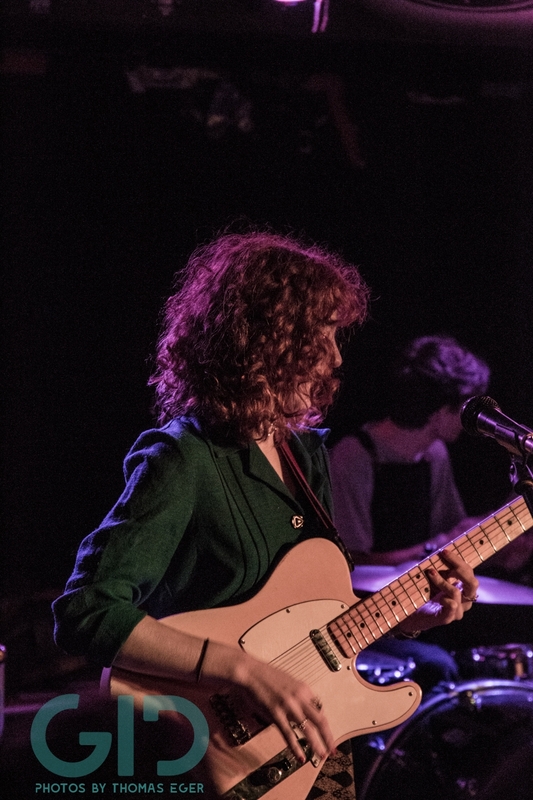 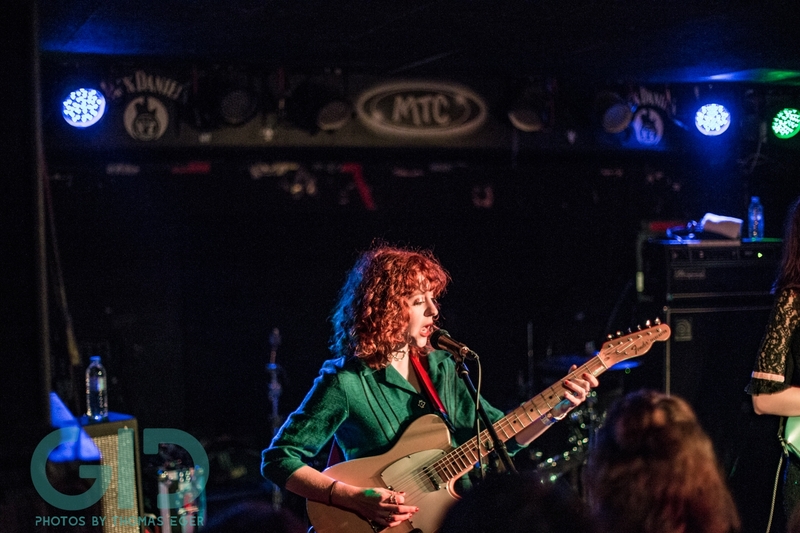 If you haven’t heard of The Regrettes yet, you should definitely check them out! 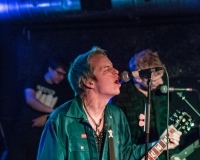 They aren’t only live super cool, but their lyrics are thoughtful and smart while the music is a perfect blend of retro punk pop rock. 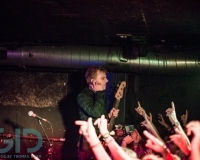 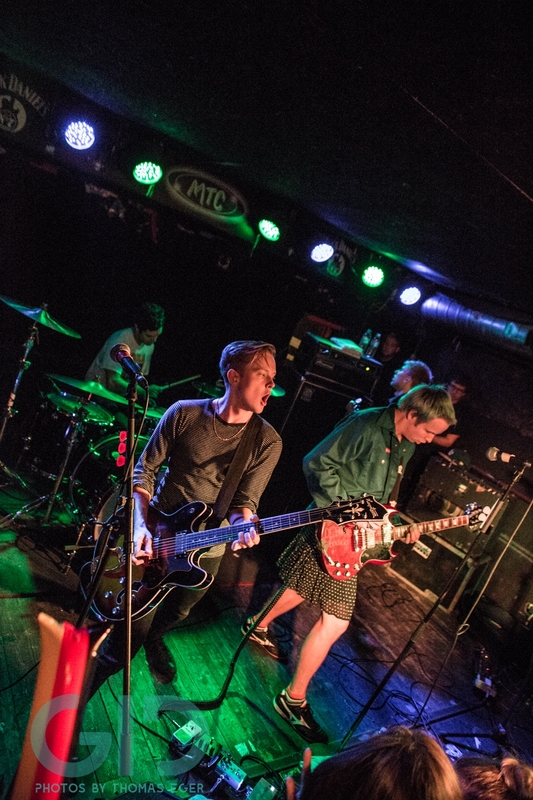 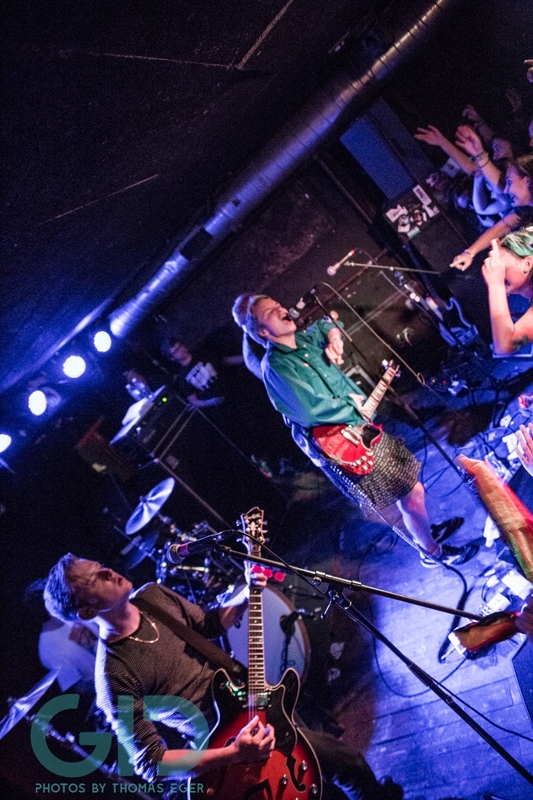 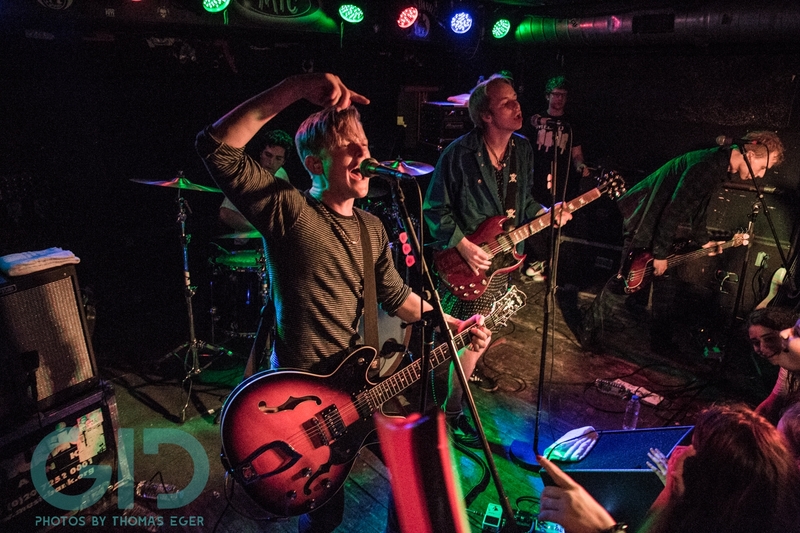 When SWMRS hit the stage, the club went completely mad! 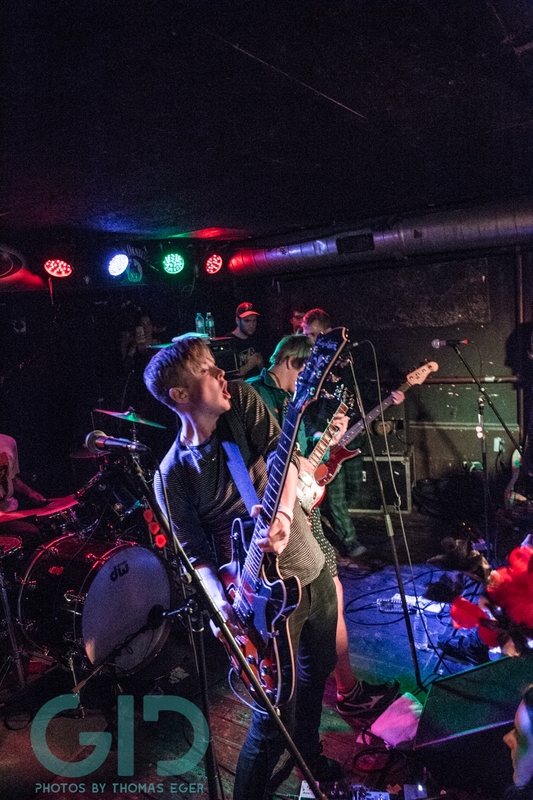 Max Becker, Cole Becker, Joey Armstrong and Seb Mueller opened their set with their most popular single “Palm Trees” and everyone there started moshing immediately. 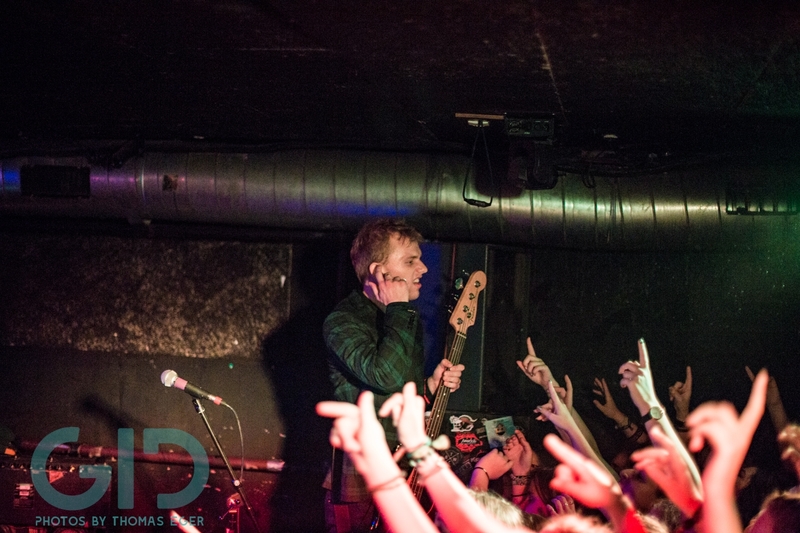 The expectations we had for the guys’ first headline tour were definitely surpassed! 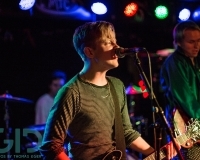 The guys delivered a great set including songs they couldn’t play during their opening gig for All Time Low such as “Harry Dean” or “Drive North”. 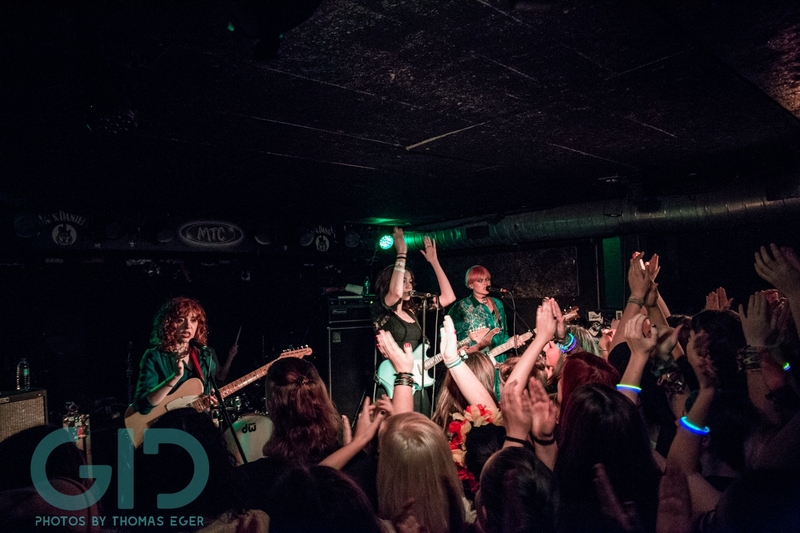 The audience in Cologne was the wildest I’ve ever seen in the MTC club, some of the mostly young female fans even danced on bar stools. 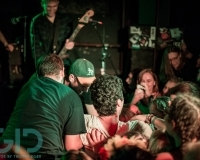 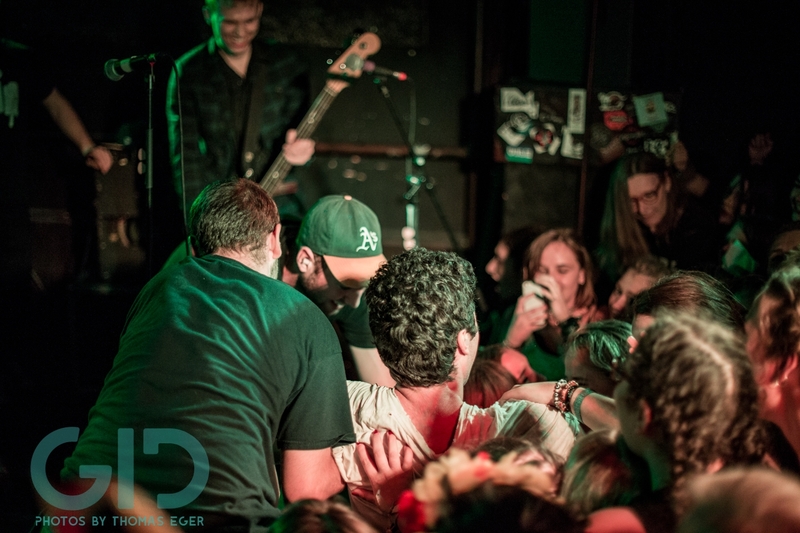 One of the funniest moments was when Joey went into the crowd and emerged without shoes some minutes later. 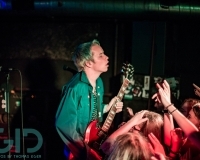 Glady, some fans saved them for him though. 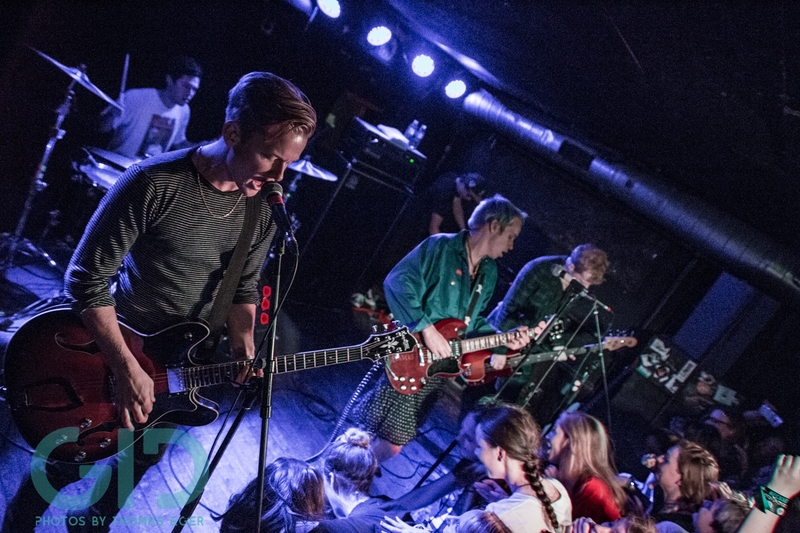 It was the second time I saw SWMRS live and again it struck me how professional the guys are at their young age. 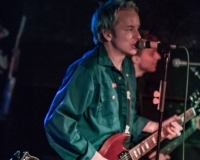 You can see that they’ve been a band for ages now and have quite some experience to work from. 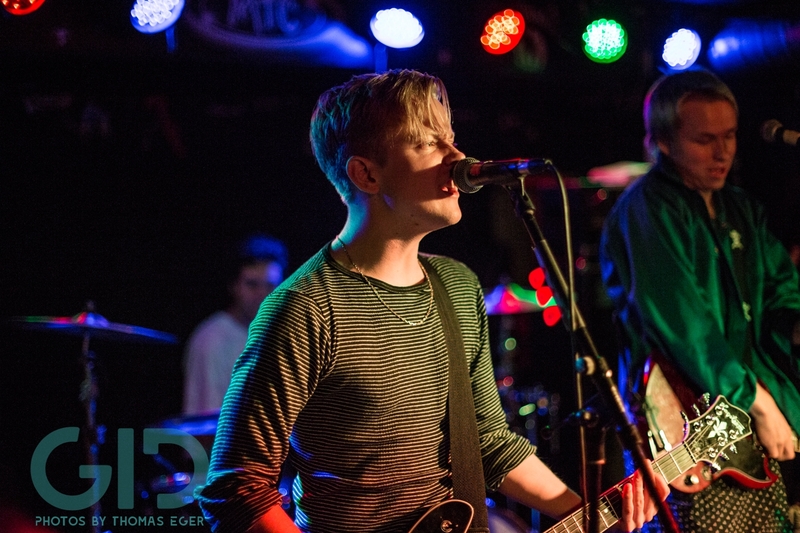 Max and his brother Cole are great front man who know how to engage the crowd. 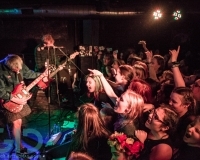 They didn’t forget to remind the fans that the German election was happening the next day and asked them to use their vote. 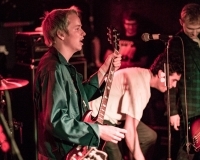 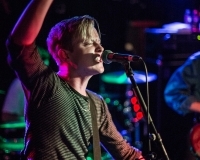 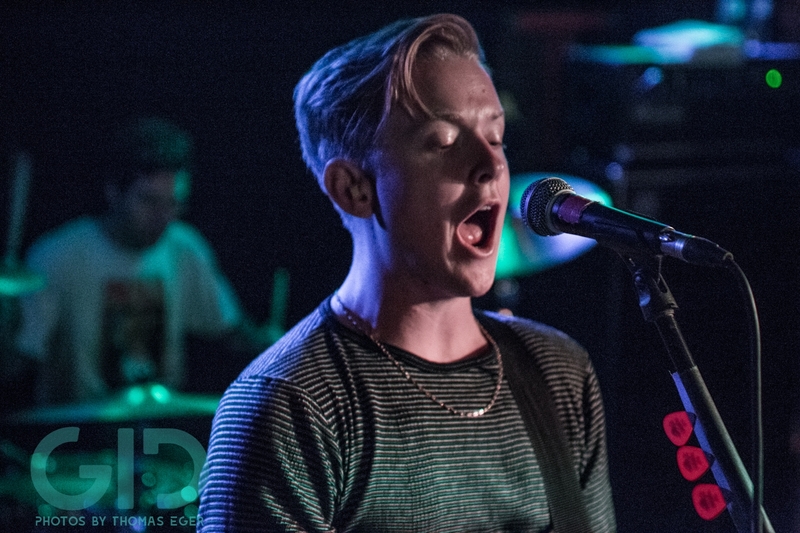 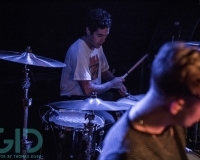 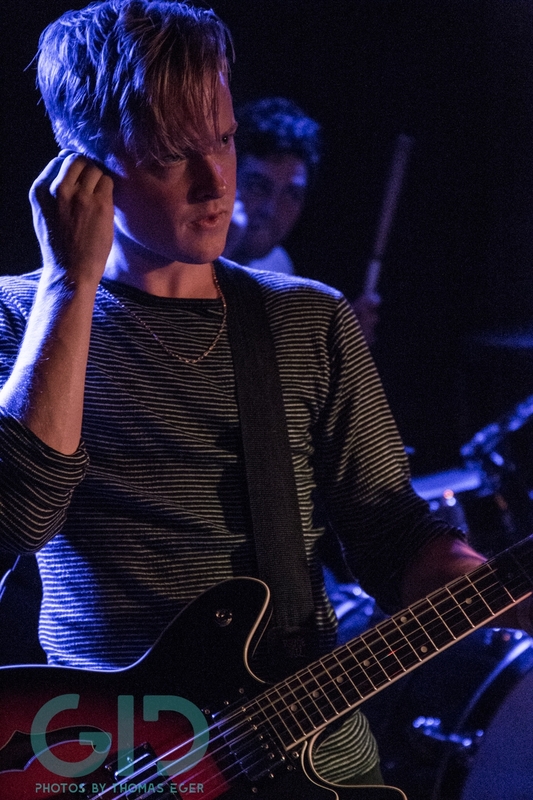 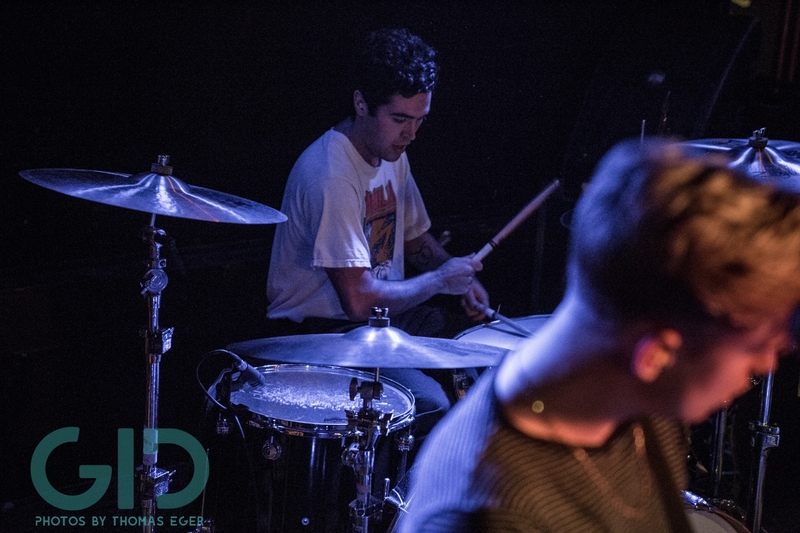 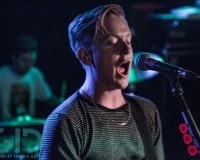 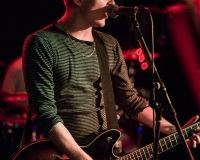 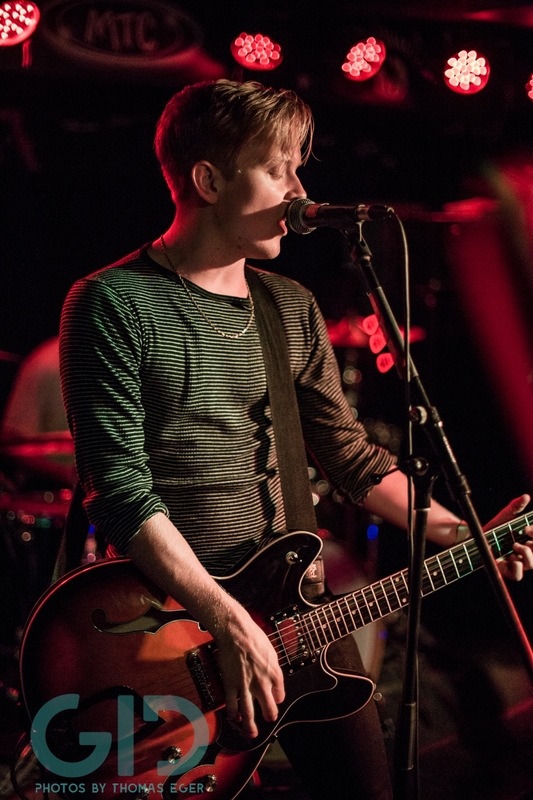 In another short speech in between songs, Cole told the audience that every SWMRS show is a save place for them and if they are harassed in some way, they should speak up immediately and the band will help them. 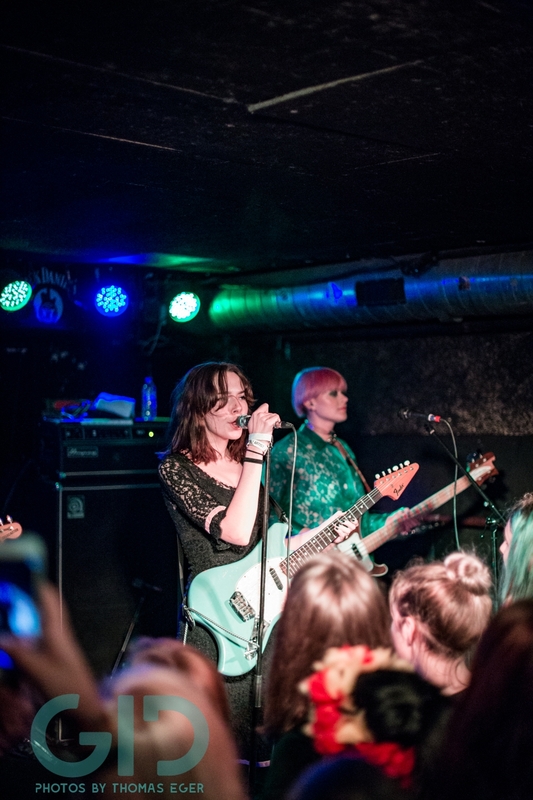 The band is sharing this on their Twitter regularly, too, which is very important cause it helps empowering young fans who are easily intimidated. 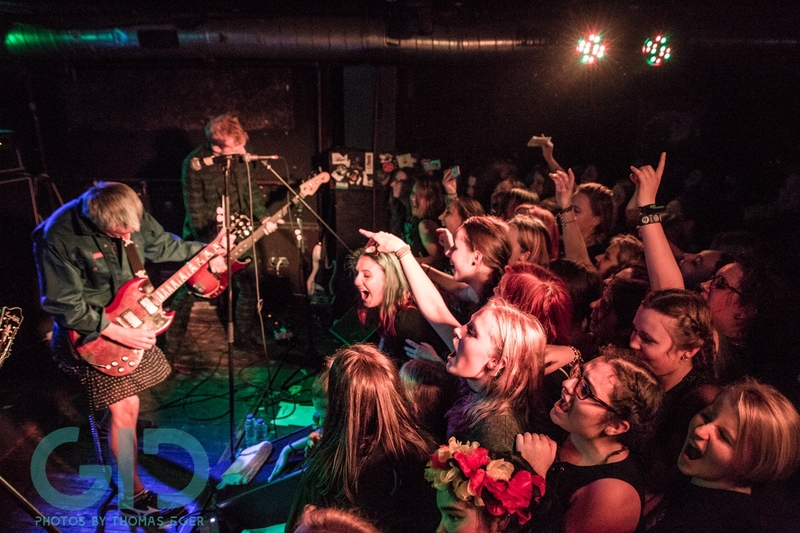 We sure as hell approve! 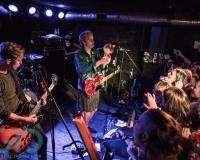 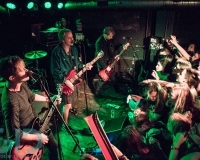 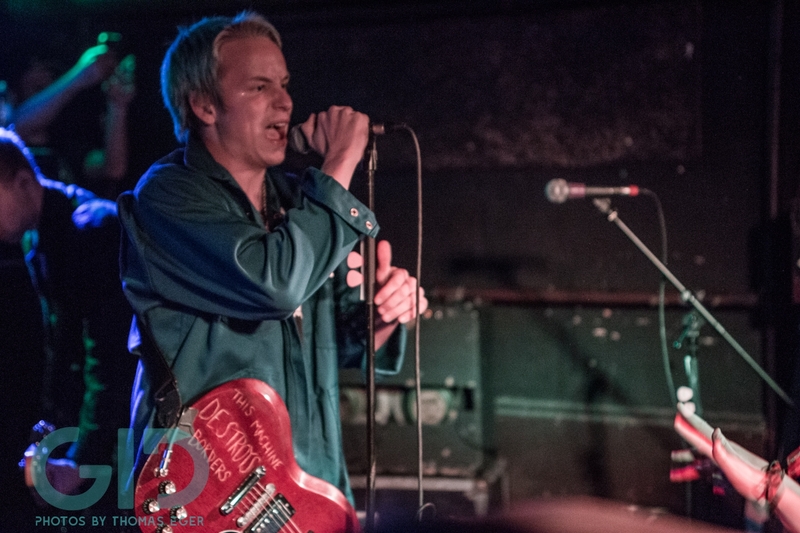 SWMRS headline show in Cologne proved again that the guys are one of those bands who manage to marry great music, a wild live performance and meaningful messages. 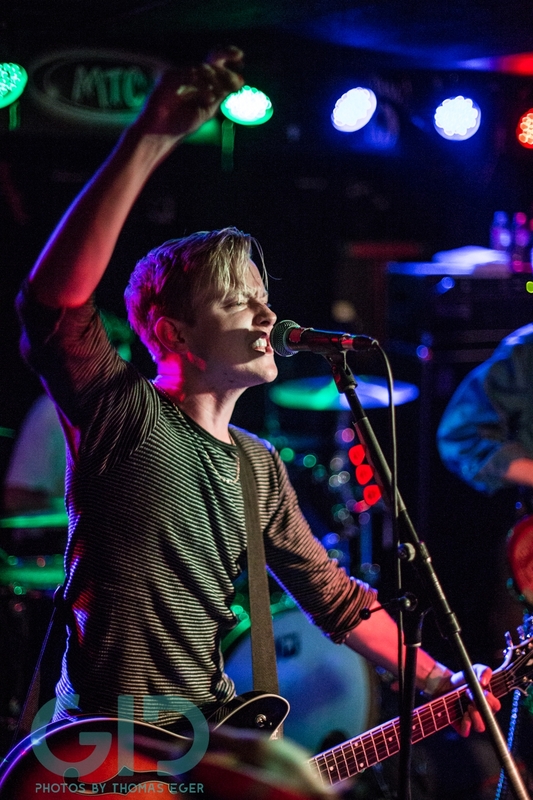 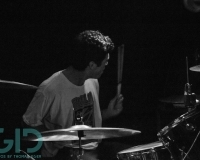 To all the young kids out there who love rock music: get up on this asap! 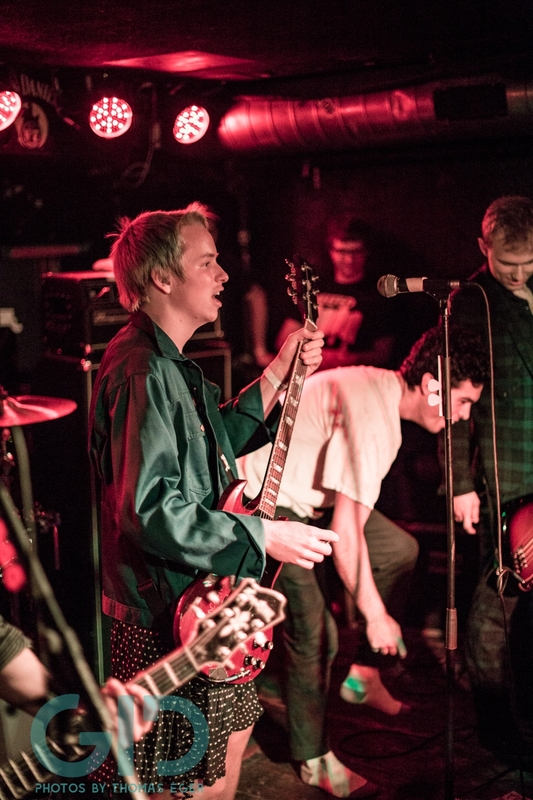 To all the parents who worry about their teenage children being screwed by society: buy them a SWMRS CD and they’ll learn how to tackle life in a fun way.